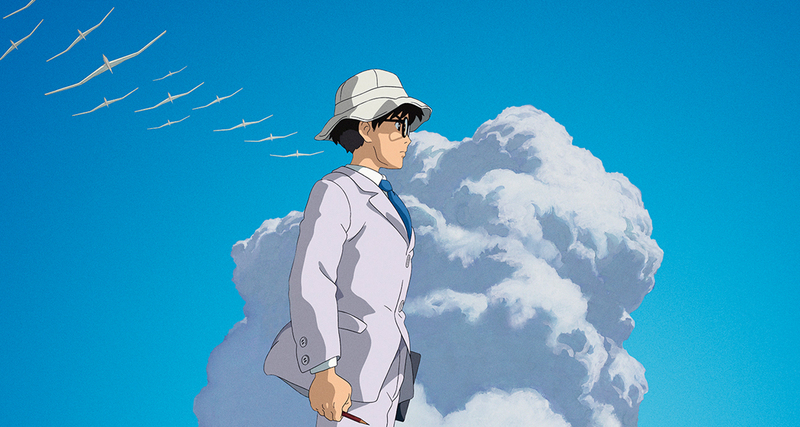 The Wind Rises is a challenging and unexpected final dream from Miyazaki. Miyazaki’s final film was always going to attract a lot of attention, scrutiny and hope – hope that his final effort would live up to the legacy which he has created over at Studio Ghibli. 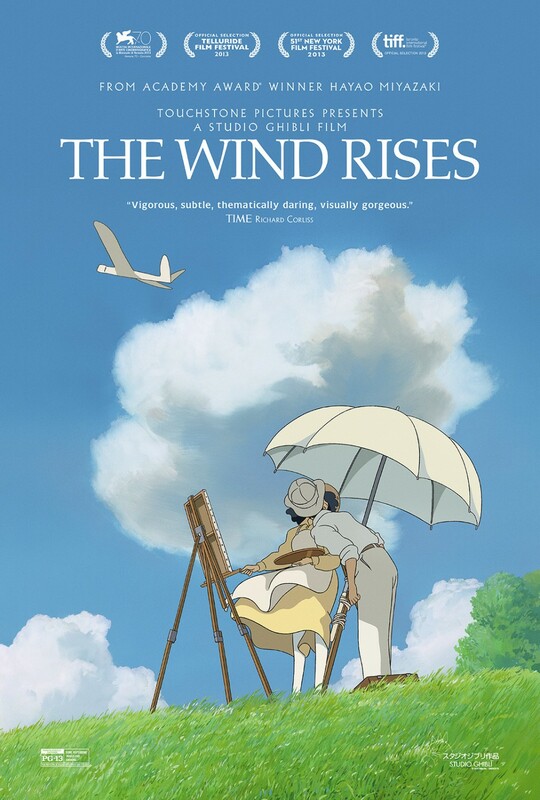 There has been a lot of acclaim for The Wind Rises, I’ve even heard the word masterpiece thrown around a fair bit, and although I would refrain from saying it’s amongst his finest and most spectacular work, I am pleased to be able to agree that it deserves most of its praise. The subject matter here is hardly conventional, nor is it safe. I will maintain that Ghibli’s primary strength comes from telling beautifully drawn stories which can genuinely appeal and engage children and adults alike. It’s the reason why I would rank Spirited Away and Princess Mononoke amongst the studio’s very finest works. However with The Wind Rises we follow Jiro, an airplane engineer, who is trying to balance his reverent love of aircraft with the fact that his creations will go on to become war machines. The mixing together of dreams and a bloody reality make for heavy subject matter, and in fact it is intentionallynot a film which will speak to every age group (here). An artistic choice which I do think is a mistake. Not because I believe every Ghibli film should follow the same model, after all Grave of the Fireflies is clearly not a film for children, but because this film had the potential to speak to a wide audience with its childlike wonder for airplanes and dreams, however instead it chose to reduce its audience. A very brave decision, but one which I think was a little unnecessary. However, there is a lot to praise about Miyazaki’s work here. The artwork, as we have come to expect from Ghibli, is beautiful. You really can feel the devotion to the craft which has gone into every frame in this film. Also the voice artists all do an excellent job in bringing their characters to life (I’m reporting on the English dub version), with Joseph Gordon-Levitt being particularly good in the lead role. As to the plot, the story of Jiro is handled deftly and not innocently as some have suggested. The presence of death and the planes’ killing capabilities hangs over the film consistently and is crucial to the story. We can emphasise with the struggles Jiro goes through, even if they could have been perhaps discussed with a little more depth at times. Ultimately what we have with The Wind Rises is a surprising and a challenging effort from a grandmaster of animation. It looks sumptuous, has a strong emotional core and doesn’t shy away from challenging Japan’s whitewashed version of history. Yes I do believe that it could have been made in a way which talked to all ages, and I don’t really understand why it wasn’t. I also am not labeling this as another masterpiece by Miyazaki. Instead it is a strong, interesting film which took me through a spectrum of emotions and thoughts with the combination and juxtaposing of incredible dreams and then their reality, an approach which speaks effectively to both the directors legacy and Japanese history. I don’t predict that it will linger in my memory the way many of Ghibli’s films do, but it’s a fine effort to go out on. What is the film’s greatest strength? It’s deep emotional undercurrent. Its greatest weakness? The decision not to talk to all ages clearly. Would I see it again? Yes I would. Ghibli films rarely don’t improve with multiple viewings. Let your thoughts flow in the comment box below! I’m sure you will if you are a fan of other Ghibli films, it’s a little different to most of their others, but at its core it’s clearly classic Ghibli. I was surprised that people voted for that anime post I had on that vote for my next posts post. Can I say post one more time? Haha, anime is such a popular genre/form at the moment! Have you seen Paprika? If so I would be interested in hearing what you made of that! No problem. It’s an interesting one, would love to hear what you think of it! Cheers! I actually wasn’t a big fan of ‘Poppy Hill’, it’s not bad but I just don’t think it can compare with many of Ghibli’s triumphs. I hope that you do like this one when you see it, have you seen many of the older films by the studio? Not many. I watched Princess Mononoke and Spirited Away. I liked both, especially the latter. At some point I guess I made a transition to a more ‘realist’ anime, such as the work of Makoto Shinkai. Uh huh, I really like Totoro on top of their two that you just mentioned. You seen Paprika? Paprika? no, but the trailer looks very impressive. I also notice some similarities to Nolan’s ‘Inception’ just by watching one trailer, and my admiration for ‘Inception’ has decreased a little 🙂 I haven’t seen Totoro. I read your review. I will definitely watch it, thanks. No problem and yes the similarities are at times striking. Just imagine Inception without the rigid structure and much more of the warped logic of dreams. Definitely worth a watch! Great review. This is still on my watchlist. Guess I’ll have to reschedule my stupid classes and watch this ASAP. That sounds like a fantastic idea to me!